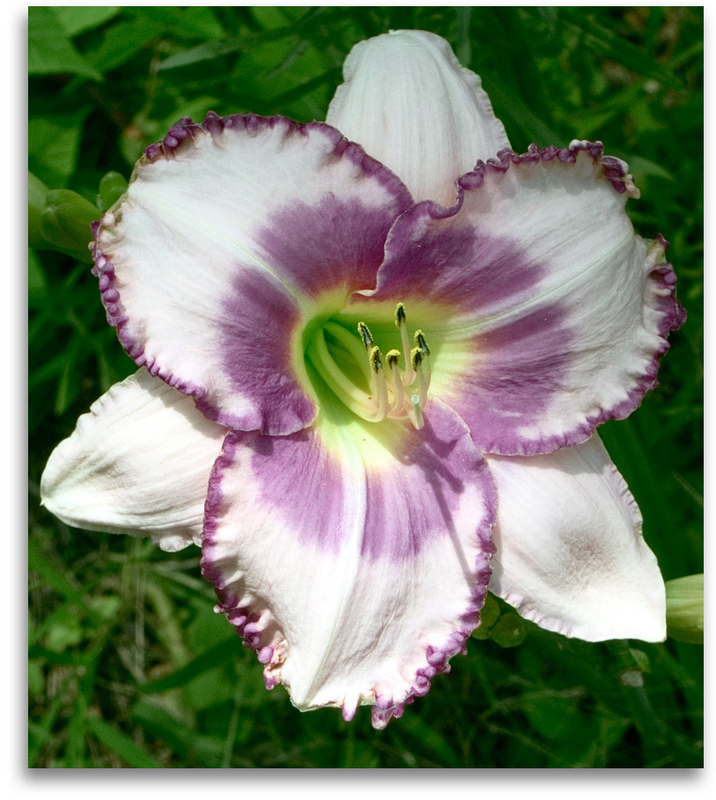 Named for the woman who headed my gardening crew for many years, this is one of the best performers among all the eyed and edged daylilies. 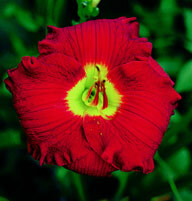 It blooms in late-midseason to late and has good size for an eyed cultivar. The clear colors are the primary quality that first attracted me. Eggshell white with rose-violet eye and dark, royal purple edge. A thin line of silver with occasional teeth surrounds the dark purple edge. Vigorous, heavy blooming and showy. It starts blooming in late midseason, about eight days after peak bloom. I can't say enough about the carity of the colors. But I'll quit here. Exceptional qualities: Robust growth. Beautiful color.